Sis. 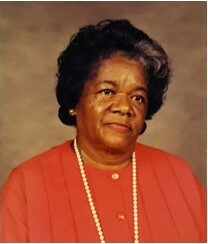 Rosie Emma Holcombe was born on November 12, 1926 to the parentage of Rev. Greene B. and Willie D. Sheffield Keeton, whom preceded her in death. She was the fourteenth child of fifteen children; twelve of which preceded her in death. She confessed Christ at an early age and joined Pleasant Hill Baptist Church, where she attended faithfully. On September 13, 1947, Rosie was united in Holy Matrimony to Mack Holcombe, and to this union 6 children were born; two preceded her in death. She leaves to cherish her memories: three (3) daughters, Rosie (Howard) Pringle, Edna Foster and Mary (Richard) Blanks, all of Yantley, Alabama; one (1) son, John H. Holcombe of Yantley, Alabama; one (1) sister, Lizzie Holcombe of Mobile, Alabama and one (1) brother, Green Keeton, Sr. (Ola Mae) of Yantley, Alabama; ten (10) grandchildren, two (2) preceded her in death; fifteen (15) great grandchildren, five (5) great-great grandchildren; two (2) special nieces, Willie B. Curtis and Lynda Mitchell; and a host of nieces, nephews, cousins, and many friends.